The European Conference on Amateur Radio Astronomy (EUCARA) is held every two years. The first one was organized by the Astropeiler Stockert group in Stockert, Germany. There were about 25 visiting attendees, and a 2 day programme of presentations, tours and demonstrations. See also this link to the EUCARA-2014. 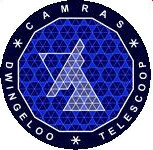 CAMRAS was invited to organize the second EUCARA conference in 2016, which we are proud to host as part of the 60th anniversary of our Dwingeloo radio telescope.